I'm pleased to have been elected to membership of the SCR at St. John's College, my alma mater. The college is an important aspect of life at Oxford as it gives an alternative centre of gravity outside the department for participation in social and academic activities. As a member of University staff with solely research responsibilities, it is a welcome opportunity to interact with the community of teaching fellows, students and junior researchers who belong to the college. 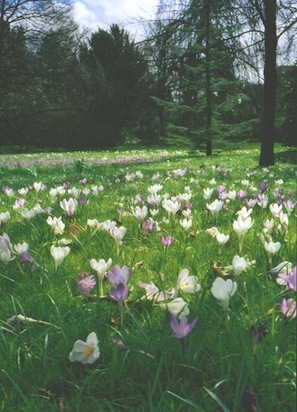 The picture is of the Spring crocus lawn taken in the college gardens.